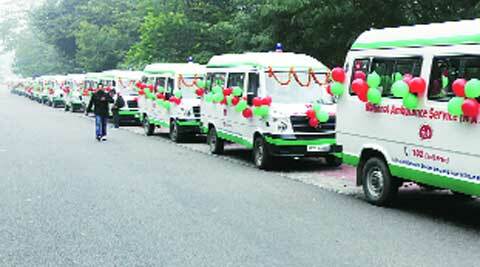 Akhilesh was addressing a gathering during the launch of 102 National Ambulance Service, expected to be the largest ambulance service in the world with a fleet of 1,972 ambulances. Chief Minister Akhilesh Yadav Friday said the media is critical of his government as his party is bad at publicising the good work. He said he needed to learn the art of “management” of the media. The 102 ambulance scheme aims at improving maternal and infant mortality rates in the state and increase institutional delivery by transporting pregnant women and newborns to the hospital. Meanwhile, Health Minister Ahmad Hasan, who had declared in a similar function earlier this week that UP is the only state where both the DGP and the Chief Secretary are Muslims, went a step further today and said there are several collectors (District Magistrates) from the Muslim community in UP. “In the last government, there wasn’t a single collector who was Muslim. No other government has as many Muslim collectors as the SP government,” said Hasan. He went on to say that the SP government has distributed about Rs 200 crore among the riot victims. After Hasan’s comments, Akhilesh again tried to defend his government.